Serengeti Diamonds is a beautiful African theme slot that offers an excellent max win! Indeed, it’s not every day that you’ll have the chance to travel to Africa and win up to $462,530! What’s more is that this slot has a couple of features that are not only crowd pleasers but they can also reward you handsomely. All and all, Serengeti Diamonds is an exceptionally well-balanced game, and the bonus offer an excellent progression too. So, you should definitely learn a thing or two about it! Keep on reading this review because we’ve got the essential covered right below. How to trigger the bonus features of Serengeti Diamonds video slot? As seen above Serengeti Diamonds has 4 main bonus features, and they’re somewhat interlinked. Which means you’ll first need to complete the diamond meter to have access to the other bonus features. The Lock reels are triggerable with the help of diamond symbols on the first, second, and third reels in the base game. In essence, this feature will trigger a ReSpin and lock the reels where a diamond landed. Any new diamond symbols on reels 4 and 5 will also trigger a ReSpin until the diamond meter located at the top of the reels is full. Once you’ve filled up the diamond meter, you’ll have the chance to play a Pick n’ click game. In the mini-game, you’ll select one diamond to reveal a number of Free games (up to 10 Free games) and a second diamond to reveal a multiplier index (up to 8x). Why should you play Serengeti Diamonds video slot? 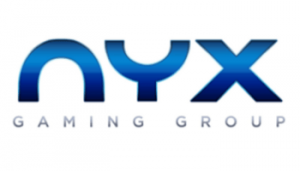 It’s true that NYX Gaming has many African themed slot in their portfolio. But each game offer something different. When it comes to Serengeti Diamonds, the most appealing thing about this slot is the extremely high RTP. Which is quite unusual not only for a NYX slot but also for a game that has such a high paytable. So without a doubt, if you’re a high roller who can afford to play on max bet, you should definitely give this game a go. On the other hand, if you’re a casino newbie, this game should also interest you because of its volatility index. Granted that you won’t benefit from the same great paytable as the high rollers do. But still, know that this game can reward you handsomely too! And if you wanted to have more money to play with, you can always claim a casino bonus! Have fun!